In my time as an in-house Internet Marketer, I’ve taken on more and more responsibilities. Initially, I was hired on to do SEO, but as time has gone on I’ve dabbled in writing, social media, graphic design and user experience. However, UX has always been a passion of mine. In the past, I primarily focused on usability, mostly because the concept of how people think and navigate through a specific task is very interesting to me. No two people truly do it the same. Can Internet Marketing and User Experience work together? And isn’t that what marketers are looking for? We basically taken the same concept in the Internet marketing world and coined the phrase, “content marketing”. While marketers and designers may have differing opinions on some things, if they work together, you can get the best of both worlds: an experience that users will love and something that marketers can sell. For me, working on an e-commerce site that sells the same products as thousands of others, it’s hard for us to stand out. Essentially, all the sites are the same, and that means in my line of business, it comes down to how you market yourself coupled with the experience a user has that determines if the user will or will not come back for more. In order to achieve the coupling of a great user experience that can be marketed, it’s important to work as a team. This goes beyond just UX designers and marketers working together. It also means reaching out to others in your company to improve overall UX. For example, salespeople have a direct connection with your customers, whether it’s through live chat , email or the phone. This means they have a great amount of insight to what the users are thinking. Graphic designers (which happened to be what I was doing when I saw an opportunity) also tend to have great ideas about UX that they can contribute to help your company stand a part from the rest. In my role, I am responsible for creating virtual samples for customers. I’m not going to pretend to be an amazing graphic artist, I basically cut and paste a customer’s logo onto the product they are looking at, save it, and send it back to the salesperson. Sounds easy enough, however, there were too many times I would have to redo artwork due to a lack of communication/understanding between the salesperson and customer. So in order to make things better for the user, and after talking with the sales team and the designers at my company, we came up with a solution we called, the Design Center, a collection of premade logos, clipart and fonts. I found that many users either 1) didn’t have a logo or 2) wanted something that would enhance their imprint. 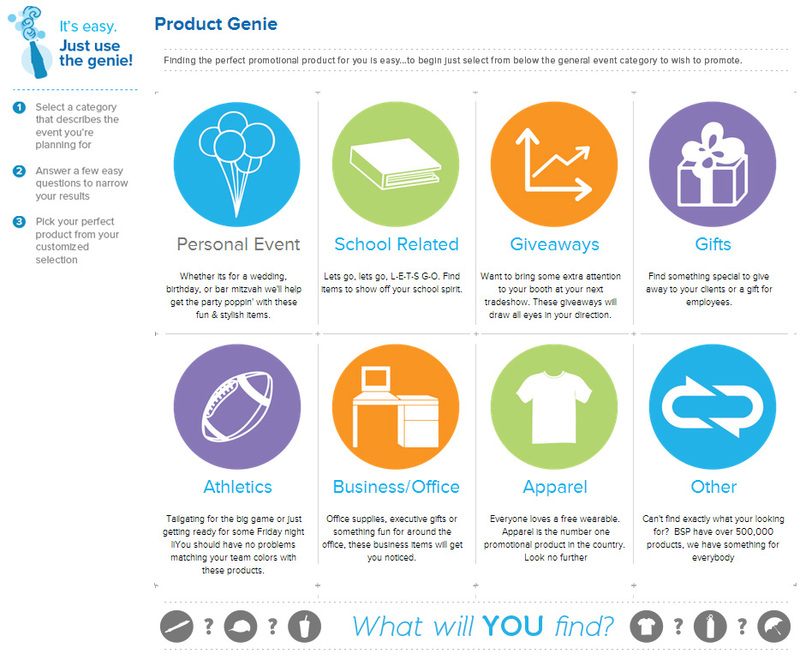 By creating the Design Center we eliminated some of the back and forth between the salesperson and customer, as well as, gave the customers something they could look at, while creating a resource we could market in the process. Another example of a solution we came up with using multiple resources to enhance the end user experience, would be our Project Genie. This is a simple questionnaire that finds out a little more about the customer’s needs/wants before showing them their own set of personalized results to help them along in the buying process. This solution came about because the sales team noticed that customers found it easier to chat with a live person than browse our collection of over 150,000 products. These projects allowed us to come up with a better UX and gave us some insight into what was going on in the customers head, giving us more ammunition when it comes to marketing. These aspects and more are what we do to make sure that our money pages, are working as effectively as possible. Money pages are the pages on your site that you want visitors to take action on. This may be filling out a form, signing up for a newsletter, or buying a product. All other pages should funnel to your money pages in some form or fashion — and if you aren’t paying attention to these pages, you’re doing it all wrong. We are always looking to improve on these pages so the user can get from point A to point B as efficiently as possible, and also produce something that is going to ‘wow’ them. The ‘wow’ factor is what is going to keep people on page and exploring your site. It’s the same reason that Darrell from Storage Wars continues to bid on storage units. 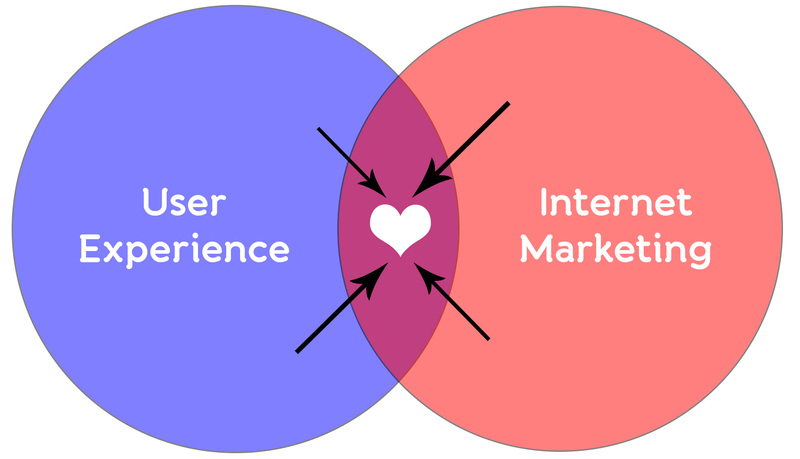 This is where I think UX and marketing work best together: by intersecting users with those pages and placements that they need, and that the business wants and needs them to see. Getting users here is creativity at its peak, and is only possible by sitting down and brainstorming with your team. Because this is what allows one to voice their marketing goals, voice the best user experience, and by the end have something great that everyone has contributed to, agrees on and can execute. In short, the answer is Yes… Internet Marketing and UX Design not only can work together, but should! How ethical is creating persuasive designs? Do they actually lead to happier customers?